Bold And The Beautiful: Don Diamont Shares Huge News, Congrats! 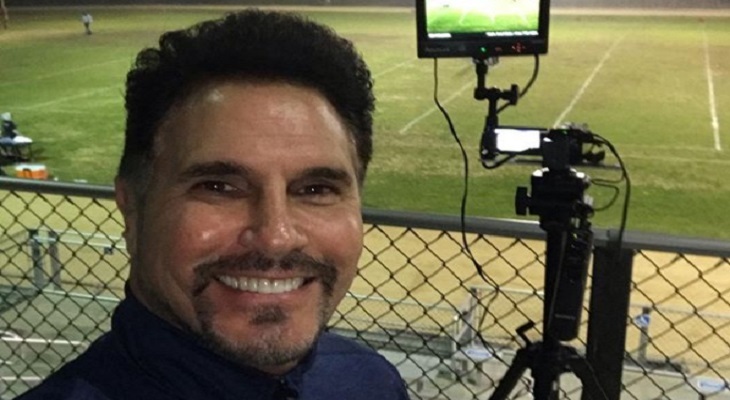 Don Diamont has some very exciting news to share with his fans. The Bold and the Beautiful actor took to his Instagram account to reveal that his son Luca has just been offered a scholarship to play football at Duke University. And as you can imagine, the actor is incredibly proud of his son and all of his achievements. Don is best known for his role as Bill Spencer on The Bold and the Beautiful. It didn’t take very long for his social media followers to respond to the good news. Many have congratulated Luca on his hard work and of course, Don and his wife Cindy for raising such fantastic kids. It’s great to see someone like Don have such close relationships with all of his kids. He recently wrote a book about his parenting experiences called My Seven Sons and How We Raised Each Other (They Only Drive Me Crazy 30 Percent of The Time).